One week after Russian aircraft bombed American-backed rebels in Syria, U.S. officials say they are still waiting for Russia to explain the incident that has put the two militaries at risk of confrontation. Russian aircraft on June 16 dropped cluster bombs on a New Syrian Army unit garrisoned at a base in al-Tanf, a remote desert outpost where the borders of Iraq, Syria and Jordan meet. The New Syrian Army unit is a product of the American-backed train-and-equip program. Its mission is to fight Islamic State militants in Syria and to avoid confrontation with forces loyal to Syrian President Bashar Al Assad. The Russians provided no explanation for the strike, which violated the “memorandum of understanding” between the U.S. and Russia that was put in place last year, and designed to maintain flight safety and avoid misunderstandings as the two major militaries share the same airspace and support different factions of the multi-sided civil war. The New Syrian Army’s presence at al-Tanf was widely known. “We were very surprised by the strike. … This was not an area where I’d say it’s complex or complicated,” British Army Maj. Gen. Doug Chalmers, a deputy commander with the international coalition battling ISIS, told Pentagon reporters Thursday. Chalmers said the strike killed and wounded some of the New Syrian Army troops, but he declined to say how many. There were no U.S. combat advisers with the New Syrian Army unit. Immediately after the Russian strike, the U.S. military scrambled two F/A-18 Super Hornets to the area to provide support for the New Syrian Army units. When those aircraft left the area to refuel, Russian aircraft returned and conducted additional strikes, a U.S. defense official said. U.S. officials sought to contact the Russians through communications channels established under the memorandum of understanding, but the Russians did not immediately respond, a U.S. defense official said. American military officials “requested Russian responses to address those concerns,” according to a statement released by the Pentagon last weekend. So far, however, the Russians have not provided any detailed response, a U.S. official said Thursday. American military officials said the Russian strikes appeared to have no strategic value for the Russians, whose primary goal has been to support the regime of Syrian President Bashar al Assad. New Syrian Army forces at al-Tanf are focused on fighting ISIS, not Assad’s forces. 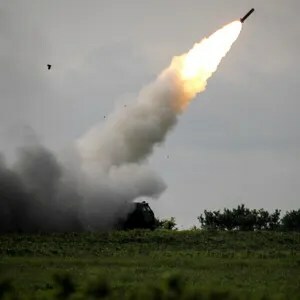 In March, U.S. troops deployed to Jordan launched their first rocket artillery attack into Syria, hitting ISIS targets near al-Tanf in support of the rebels battling to seize the outpost there. The border town was held by ISIS since May 2015, and provided a key link between ISIS territories in Syria and Iraq. It’s located south of Palmyra and to the east of the Syrian capital, Damascus. 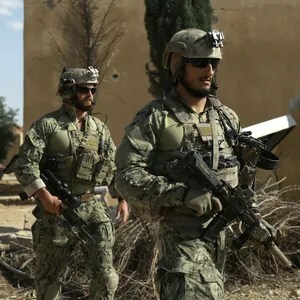 1 Comment on "Russia’s attack on U.S.-backed rebels in Syria puzzles, frustrates the Pentagon"
Looks like the Russians are in the testing phase of US reaction to planned provocations. What proves the intent, is the fact that the Russian planes came back after US fighters, called in during the first run, had to return for refueling. So, where is Plan B? Maybe it is getting closer to the first delivery of man portable air defense missiles to US backed forces. After all, man has the right to protect himself. Whats next ?